THE late Edward Said, author of the Orientalism, in reaction to Gulf War I, once averred that the CNN footage of the war in Iraq amounted to a Nintendo game. Bombs, despite their devastating effects, were described as “surgical strikes” by the global media. The missiles were further deemed “smart”, since they could evade tall and lowly built structures to zoom in on their targets. The military voyeurism that started then has come home to roost in the video games, in two dimensional or three dimensional forms, albeit in New Zealand. The massacre, of all places in the mosque, in Christchurch, New Zealand, is a testament to how Islamophobia has been rising. The captured murderer is an Australian, who sprayed his bullets on all the innocent victims in the Islamic places of worship in New Zealand. In a population of close to 4.1 million, there are only 400,000 Muslims in New Zealand, many of whom are emigrants. White supremacist chauvinism is not only rising, consequently to throw up leaders who speak of, indeed, governing on “America First” — an ideology favoured by the racist Ku Klax Klan in the 1950s — but seeking to make victims of all those who don’t share the same pigment with them. 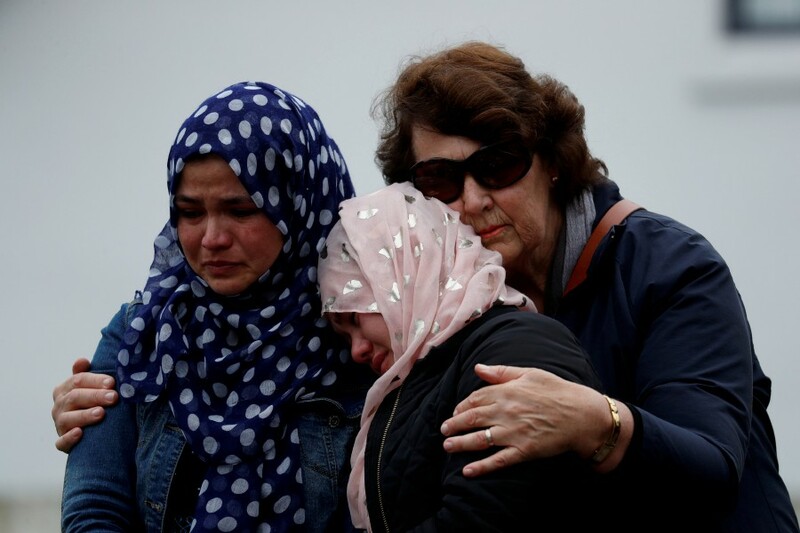 At this rate, the catastrophic murders in New Zealand, the country’s first, are a sign that Islamophobia is spreading, not stopping. New Zealand Prime Minister Jacinta Adern did not discount the possibility of an “anti-emigrant element” in her first reaction to the bloodshed. But the roots of it are the global increase in Islamophobia — the pathological fear of Muslims and Islam. More importantly, the murder was conducted with utter frivolity. It was beamed live on Facebook by the perpetrator (s), and goaded by anti-emigrant sentiments online, that can only egg the murderer (s) on. As a country whose main and official religion is Islam, Malaysia may not be spared from all the flaws that come with a parochial and conservative distortion of the religion, especially by Pas and Umno, which have nothing to lose in radicalising the country to save their own skins. But Malaysia has to work with leading Muslim powers to put a check on Islamophobia, and the tendency to take Muslims as mere game. When India whipped up a nationalist frenzy, it sent jet fighters into Pakistan. When China detained more than one million Uyghurs and Muslims, the concentration camps are known as “centres of re-education”. When the United States turns a blind eye to the war in Yemen, as initiated by Saudi Arabia and the United Arab Emirates (UAE), consequently, against the Houthis who are deemed to be pro-Iran, Washington DC is going back to the era when it cheered Saddam Hussein on, as Baghdad attacked Iran in the 1979-1989 war. All these are signs of Islamophobia, of trying to use one set of Muslims to checkmate the other, only to spawn a group of white supremacists who believe they can wipe out others too. God may not be described as an artist. But in the Quran, God clearly affirmed that He created “nations and tribes”, so that they may know each other and learn from one another. He didn’t create them to maim and murder one another. In fact, the sacrifice or killing of a single life in Islam is akin to a sin against humanity. In New Zealand, the world is stunned that white supremacists have once again, not only reared their ugly heads, but had the gall to stream their killing spree live. Prime Minister Tun Dr Mahathir Mohamad was right, in this sense, when he launched the Perdana Leadership Foundation Anti-War Campaign as early as 2003. What he was warning against was the penchant, and the petulant practice, of seeing all others as less than themselves. In mobilising the whole war machinery in Singapore just two months ago, coupled by more acidic comments from the likes of Bilahari Kausikan, a former envoy, the city state is also skating on thin ice. Instead of making peace, it prepared for a war. Islamophobia is the ride in the military crescendo to end the existence of Muslims. All Muslim and non-Muslim countries must rise to the challenge to defeat Islamophobia, without which more than a billion believers of Islam would become easy targets; not unlike three- dimensional props in a video game. For the Muslims, Fridays can easily be an appointment with death.